The B381 combines safety and ride comfort. 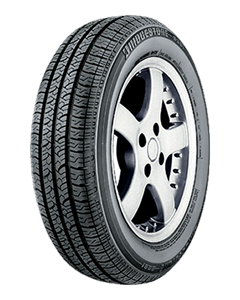 It is an original equipment (OE) tyre on selected vehicles and has an optimised tread design that provides even wear across the tread to improve tyre life and manoeuvrability. Circumferential grooves give improved steering response and resistance to hydroplaning.